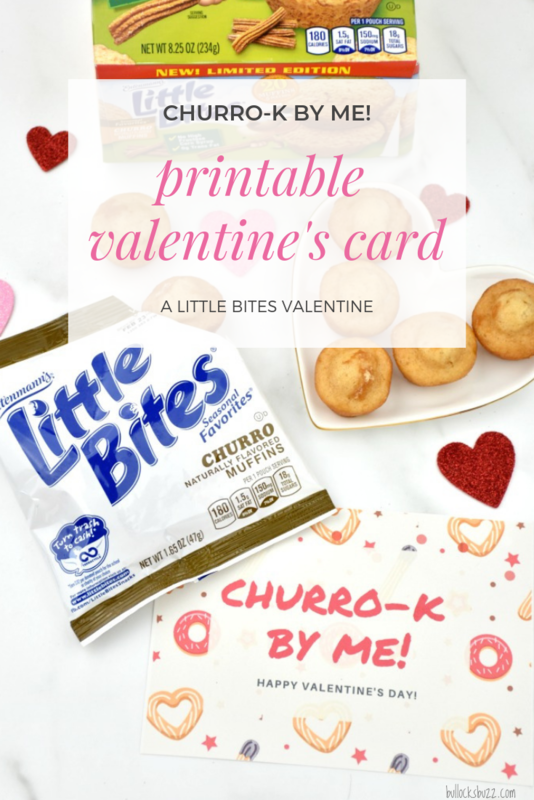 Today’s post featuring a free printable Valentine’s Day Card and snack idea is a sponsored post on behalf of Entenmann’s® Little Bites®. A big thanks to Entenmann’s® Little Bites® for the coupons and gift card! Entenmann’s® has long been a favorite of mine. Growing up, my dad would surprise us with a box of their cookies or donuts, and sometimes even a cake. I think he secretly loved them himself and needed an excuse – us – to get them. Fast forward to today, and Entenmann’s® is still a part of my life. My husband, stepson and I all love their products, especially Little Bites®! We enjoy almost all of their flavors, and especially the seasonal and limited edition flavors. Speaking of limited edition flavors, Little Bites® has just come out with a new one: Churro! Little Bites® Churro muffins make a great alternative to many sugar-filled snacks. They’re fun, sweet and tasty. Plus, they come in these handy little individual pouches which makes them perfect for school lunch and on-the-go snacking. Speaking of alternatives to sugar-filled snacks, Valentine’s Day is right around the corner. 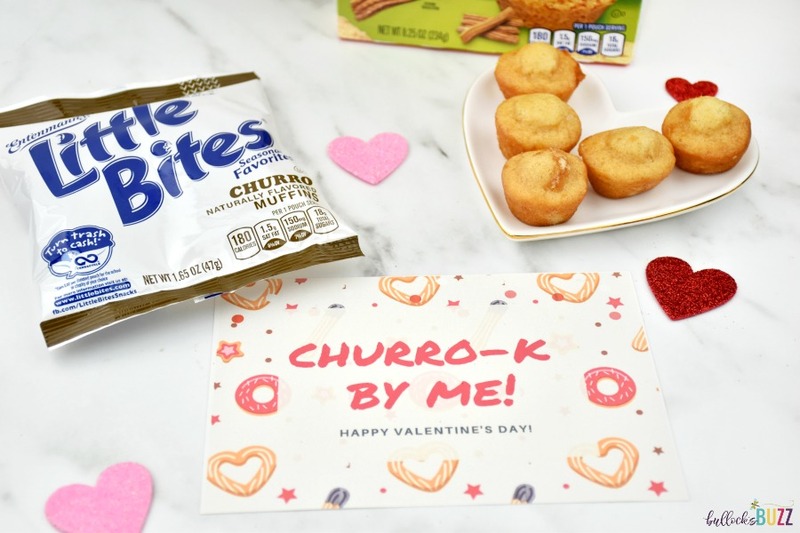 If you don’t want your kids loaded up on Valentine’s Day candy, these Little Bites® Churro flavored muffins would make a great non-candy Valentine! Simply pair a pouch with my free printable Valentine’s Day card, and you’ve got a cute little Valentine that’s easy, inexpensive and perfect for classroom parties. Download the printable Valentine’s Day card by clicking on the link above, or the image below. For best results, use your printer’s highest quality settings along with a nice paper such as cardstock. PLEASE NOTE: the actual printed card will not be as big as the one I am showing in my photos. The final printed version will measure around 3.5 inches by 2.5 inches – so it is not bigger than the bag of muffins. Want to try Little Bites® Churro muffins for yourself? You can find them anywhere Entenmann’s® Little Bites® are sold. 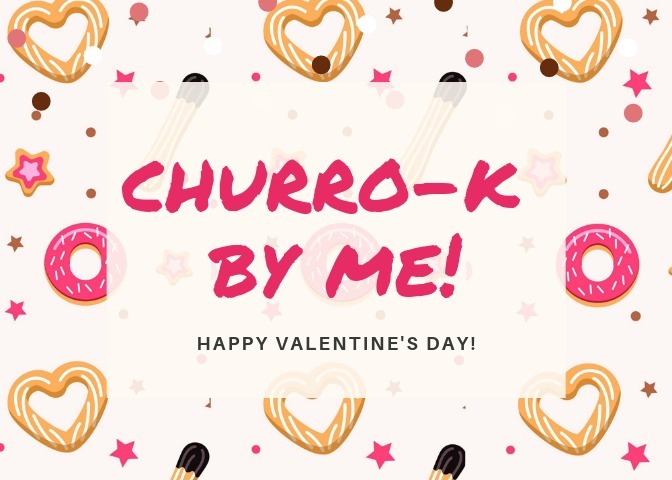 Just remember, Little Bites® Churro won’t be around for long, so make sure you grab a box when you see them. This is one flavor you definitely do not want to miss out on! Feeling lucky? Enter our giveaway below! 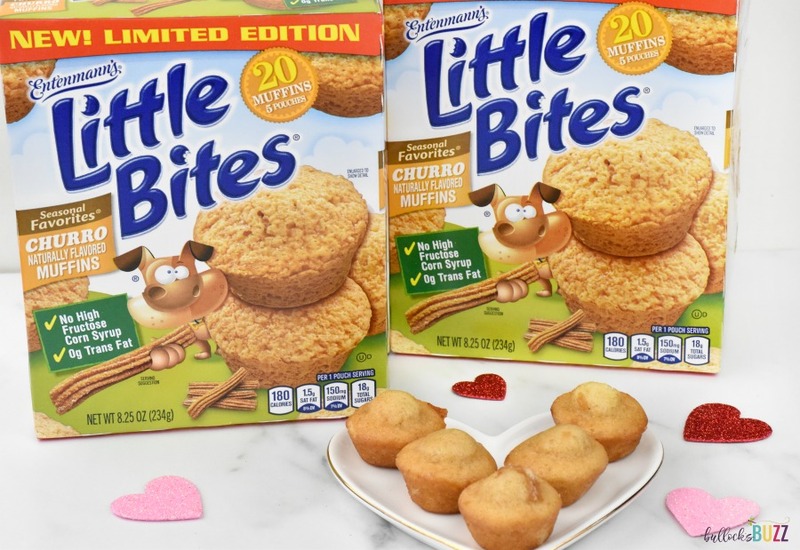 One lucky reader will win 3 coupons for $5 off the purchase of any Entenmann’s® Little Bites® PLUS a $25 VISA e-gift card! Enter through the form below! This giveaway is open to US residents only. It will end at midnight (central time) Feb. 8, 2019. Good luck! My favorite is the crumb cake variety, especially of I toss it in the microwave for a few seconds. I love the blueberry mini bites! They are the perfect morning treat. My favorite are the party cake little bites. They’re so tasty. My favorite Little Bites treat is the Mini Chocolate Chip Muffins! I love the chocolate chip flavor of little bites! We love the crumb cakes! My favorite Little Bites is the Party Cake!